Election Audit: What Can Be Concluded? 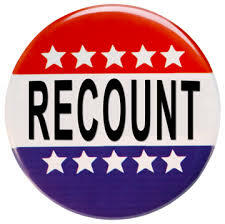 They do a great job of explaining how the call for a recount came about, how it did not happen except in Wisconsin, and how hacking of voting machines could be done. On this last point, they believed our voting machines were very vulnerable. However, to claim that there is no evidence when in fact no research has been conducted to make that determination is a form of deception. I know–researchers do not like to say, “we don’t know,” But maybe I missed how they actually did the necessary research to draw conclusions. What do you think? Sadly, without verifiable elections, we really just don’t know if the will of “we the people” has been accurately reflected in election results. This entry was posted in Current Events, Politics.